Quantity of Sleep – In a 24 hour period, how many of those are spent asleep? Approximately 90% of babies and children will fall into these ranges. About 5% of kids need more, about 5% of kids need less sleep than what is indicated. It’s not going to fit each and every child, but ranges of “normal” are helpful. Quality of Sleep – Is the baby or child having long, restful stretches (depending on the age, this may still include wakings for feedings) and regular/predictable naps? We all know that a night of broken sleep is not nearly as restful as a night of consolidated sleep. Without longer, consolidated stretches of sleep, it’s unlikely that child can be well rested. 1) Falling asleep in their car seat or stroller, even when it’s not around nap/bedtime or on the shortest trips. 2) Waking from naps or in the morning grumpy. 3) Difficulty waking the child in the morning. 4) Early morning risings (generally before 5:30AM) or possibly other night wakings which aren’t related to hunger. 5) “Tired but wired” behaviour. The child appeared drowsy earlier, but as the day or evening wears on, the child is energetic, having trouble settling, lying quietly for their nap or bedtime (think along the lines of a second wind). 6) Fussiness/clingy, general mood decline, especially in the late afternoon or early evening. If you feel any your children (or you!) aren’t getting adequate rest, consider what you can do to start getting more sleep into your families daily routines. Fatigue and exhaustion doesn’t need to be a way of life for your child or your family. You’re thinking about transitioning your toddler from a crib to a bed. But you’re not sure if you should? And if you do, you’re wondering the best way to go about it? 1) Is my child maximizing the weight limit on their crib? 2) Is my child climbing out of the crib, in spite of having the mattress in the lowest position? 3) Is my child pottying at night? If you’ve answered yes to one or more of these questions, it might be time to consider the big move outside of the four barriers which keep your child contained during their sleep! The first suggestion: keep them in their cribs as long as possible. 3 years old is actually a very appropriate age for a transition to a bed. Why? They’re just older, less impulsive and better able to understand instruction, rules and cooperation. Sometimes the transition involves a lot of cooperation! As well, that child will have more enthusiasm for growing up and being a big kid by then. The transition can be a lot more seamless when the child is completely on board. Build A Good Basis: If you’re having some sleep difficulties in the crib, it likely is not going to get better with the transition to a bed. Ensure you have a healthy foundation for sleep in place BEFORE moving your child from a crib to a bed. Plan Your Approach: Some kids transition quickly and easily. They’ll see the bed one day and will be able to have a great sleep in it right away. Some will need a big lead up time of weeks or even months before they’ll feel comfortable. Consider the disposition of your child and how quickly they adapt to change and gauge your approach from there. Focus on building enthusiasm and keeping the experience positive. Role Models: Older family members or friend’s children who’ve already made the transition are excellent role models. Introduce the idea of a big bed and how “you’ll get to sleep in a bed like this too when you get bigger!”. From there, you’ve planted the idea and can continue to cultivate the thoughts of growing out of the crib and graduating to a bigger bed. Age appropriate choices: Kids are enthusiastic when they get to be part of the decision making. Involve them in selecting a bed, mattress and/or bedding/linens. Being part of the choices helps them feel grown up and in control. This doesn’t mean letting them loose at PBK and telling them to pick out whatever they want. It means narrowing it down to a couple choices you could live with and having them select from there. Safety First: You’ll need to be extra diligent about any hazards in their room. Hanging cords from blinds, window guards (or locked windows), covered outlets, shelving/furniture secured to the walls, remove hazards from closets, etc… They will be able to easily get out of bed and inevitably they will explore. Make sure they’re safe. Keep your baby monitor. I also suggest locking your exterior doors too, just in case you’ve got a mini Houdini. Depending on the size of the bed you’re introducing, you might need bed rails if your child moves a lot during their sleep. You can always eliminate those at a later date. What to Expect: The biggest issue I see with kids who transition to a bed: children who can get out of bed any time they like, and do. Some children wouldn’t even consider getting out of bed (thank your lucky stars if this is your child!). But some can and will give you countless curtain calls. Kindly and firmly remind them of their manners by and lead your child back to bed. Every. Single. Time. It should improve quickly and the novelty of getting out of bed independently will begin to wear off. Above all other things, be consistent. As I’m sure you’ve experienced: if you bend the rules, so will they. I recently took part in a Continuing Education course on Postpartum Depression (also known as PPD or postnatal depression). This is a topic very near and dear to my heart. I have friends who’ve experienced PPD and even friends who’s families have been torn apart because of a more extreme postpartum mood disorder, called postpartum psychosis. We’re supposed to be thrilled and elated about the new addition to our family. We all have expectations, from within and from those around us. But what if you’re not able to meet those expectations? Postpartum depression is the most common side-effect of bearing a child1. It effects 10-20% of new mothers and you’re more likely to incur PPD again if you’ve experienced with previous births2. Postpartum Depression involves a major depressive episode with onset within four weeks postpartum. Clinicians diagnose PPD with the following: within a two week period, a new Mama will experience five of the following symptoms: depressed mood; change in appetite, eating habits or weight; sleep disturbance; lethargic or agitated motor activity; extreme fatigue; worthlessness or inappropriate guilt; impaired concentration; thoughts of death and a general inability to experience happiness or pleasure (anhedonia)2. The Baby Blues is a more brief experience, typically peaking 3-5 days postpartum and lasts less than two weeks. It’s actually more related to the tremendous hormonal fluctuations which come with giving birth2. Maybe you’ve felt the effects of PPD, maybe you know some one who has. Open the dialog and remove the stigma surrounding mental health. Asking for help can feel like a weakness, but sometimes asking for help is the greatest act of strength. No one is going to think you’re crazy or you’re a bad Mama. Trust me when I say the expense of not doing anything about depression is far greater than the time and money you will invest to better yourself and your family. We all know that Mama is often the glue holding families together. A happy, thriving parent means a happy, thriving family. There’s help out there and let’s support and encourage our friends and family to take care or ourselves and take care of each other. Let’s look out for one another. We’re all in this together. 1) Wisner, K.L, B.L. Parry, C.M. Piontek, Postpartum Depression. New England Journal of Medicine. vol. 347, No 3, July 18, 2002, 194-199. 2) Stearn, S., Presentation: Postpartum Depression and Other Postpartum Mood Disorders. We like eating at our house. Delicious food and pleasant mealtimes are events to look forward to. My friends and family know I love me a good breakfast. Even more so, I love me a good breakfast that allows me to linger in bed just a couple minutes longer, but will still be ready when we are. This is one of our family favourites this time of year. It’s easy, quick, loved by the littles and we hope you’ll give it a try! 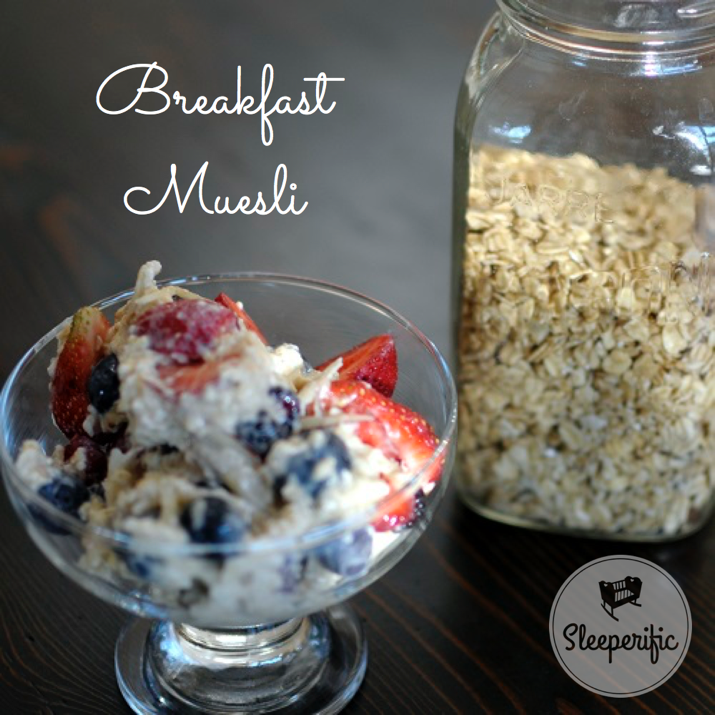 – In a large bowl, combine oats, yogurt, orange juice, milk, honey and grated apple. – Gently fold in fresh fruit, cover and refrigerate overnight. * If you choose a sweetened yogurt, you can skip the honey. We’ve tried dairy, goat, coconut and almond yogurt. They’re all great! The vegan yogurts tend to be thicker, so you may need to offset by adding more milk. ** We’ve tried dairy, goat, coconut and almond milk, and they’ve all worked out just fine! When many people think of the ultimate in relaxation, they think massage. It calms the body, mind and muscles, and often promotes sleep. That is why infant massage is becoming more and more popular amongst new parents. Massage has been used for years to help with colic or to get rid of the pesky gas, but recent studies have shown that regular massage for infants can promote better sleep in babies, and in return, their sleep deprived parents. A recent study from the Warwick Medical School and the Institute of Education of Warwick, found that infants who received massage cried less and had a decrease in stress hormones such as cortisol, which resulted in better sleep. One Study also stated that massage could also affect the release of melatonin, aiding in infant sleep patterns. Massaging an infant or toddler, to help with sleep, may be different than treating them for colic, gas, or reflux. Massage before sleep is made part of the bed time routine. Although routines vary from family to family, according to Infant Massage USA, “children who were given daily massages for 15 minutes before going to bed, showed fewer sleep delayed behaviours and had a shorter latency to sleep onset, and as a result, were more awake, alert and active during the day. To perform a massage to help promote sleep, keep baby in a warm, dimly lit room. Many like to use soft relaxing music. Massage strokes should be preformed in a slow, rhythmical pattern, with full hand contact in a gentle but firm pressure. Lotion or oil can be used, or techniques can be done dry, over clothing. Keeping with a similar pattern can help relax baby and indicate bed time. Massage therapy follows guiding principals. These help aid blood flow in the correct direction to help with circulation. Starting with the legs, then arms, head, back and tummy allows you to cover all areas, but brings the circulation back to the heart at the centre of the body, and therefore, leaves the child feeling a sense of overall relaxation. Maintaining eye contact and talking to baby in a soft, soothing voice helps build communication, trust, and bonds. It helps to become a wonderful part of the routine, really helping baby feel that this is a wonderful one on one moment with mom or dad. When working on the limbs, again begin closest to the body, working your way out to the tips of the fingers or toes, and back up to the body. Since their limbs are small, you can use your whole hand. When you reach smaller parts, such as hands or feet, you can simply use your fingers or thumbs to gently knead. When working on the tummy or back, you can use a variety of techniques with either the whole hand or just the finger tips. When working on the face, light pressure with finger tips is all you need. Now, most babies will not let you get through a full body massage the first time,if ever, and that is fine. Watching baby and following their cues is important. Touch is a very powerful tool for a parent to use. Infant massage can help develop that tool for both parent and baby, and also helps create wonderful memories to last a life time. Amber is a Registered Massage Therapist, the owner of Amber Parkinson Massage and one of Durham Regions leading prenatal massage therapists. She provides massage therapy services to the whole family, working with men, women and children of all ages, from infants to the elderly. Amber tailors each treatment to the abilities, and needs of each individual client. She specialize in prenatal and postpartum massage. You can follow Amber on Facebook and Twitter. 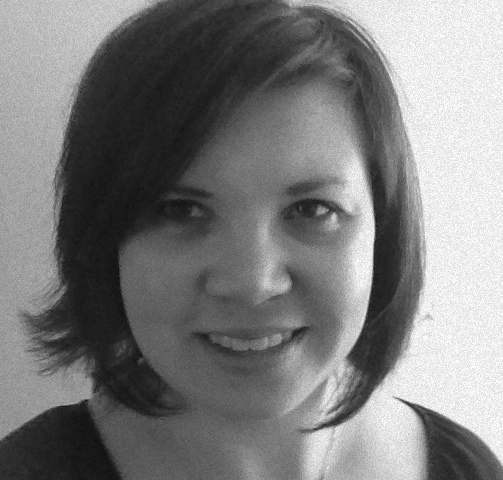 Amber lives in Ajax, Ontario with her husband, daughter and dog. Would you believe me if I told you there was a simple way to help your child transition from a busy day to a restful night, help them perform well academically, entertain and intrigue their mind, all while strengthening the bonds between parent and child? Oh, and it’s entirely free. Too good to be true? Think again. 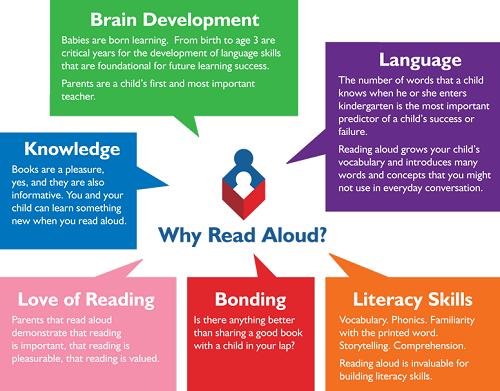 Reading out loud to your children accomplishes each and every one of these objectives. It sounds simple. It is simple. The results are astounding. Reading to our children does not just calm down the littles before bedtime, but gives them a head start academically, fosters a relationship between parents and their kids and perhaps most importantly, promotes a life long love of books and reading. “Reading aloud to children is the single most important activity for building knowledge required for eventual success in reading.” (National Academy of Education’s Commission on Reading, 1985). 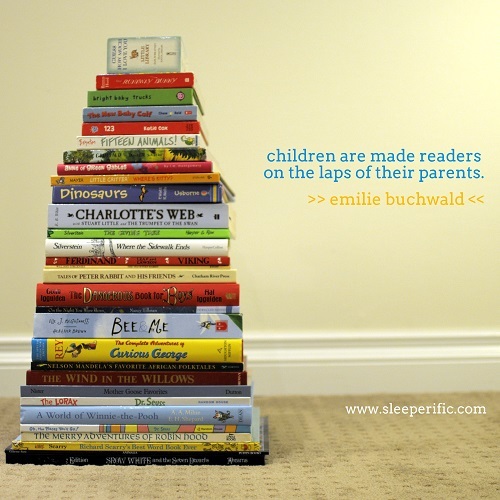 – And encourage a joy of reading. “Every time we read to a child, we’re sending a ‘pleasure’ message to the child’s brain. . . you could even call it a commercial, conditioning the child to associate books and print with pleasure.” (Trelease, 1982). Experts recommend reading aloud to your child as soon as he or she is born, and continuing indefinitely go to these guys. If you don’t do this yet, fortunately, it’s never too late to start. While the investments are few: just your time and a library card, the benefits are many. Always remember that a good book is meant to be enjoyed; not just for the purpose of making good readers, but for enriching lives. Trelease, Jim. “The Read-Aloud Handbook.” Penguin, 1982. Fox, Mem. “Reading Magic: Why Reading Aloud to Our Children Will Change Their Lives Forever.” Harcourt, 2001. Graphic. Read Aloud 15-Minutes www.readaloud.org. Krista is a wife, mother of 2 (+1 Vizsla), Certified Sleep Coach, closeted iron chef, marathoner, e-commerce aficionado and wannabe interior designer. When she’s not helping families go from tired to terrific, she loves reading aloud to her children (and only skips the occasional page). Winding down after a long day may be easy at times for adults but I have found it can be a challenge with my little ones if we do not approach it with a gentle bedtime routine. 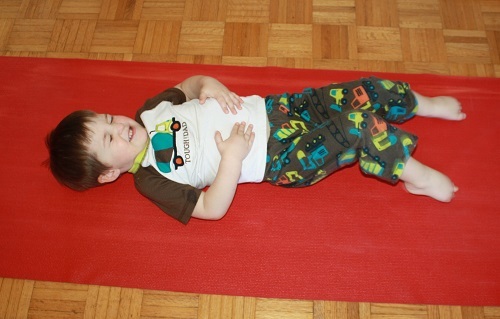 There are some wonderful yoga techniques that you can use to assist your child in settling in to bed, letting their body and mind calm and drift away to sleep. With a soft voice ask your child the questions below, allowing for pauses and reflection. Ask your child to try not to talk but to think about them inside their mind. 1. Are any parts of your body moving? *most likely some part of their body will want to move, fidget, fix their hair, scratch an itch, etc. Try not to draw attention to it or dwell on any movement. This question is more to get your child to scan their body and begin to understand that if they quiet their mind and focus on one thing (ie: is their body moving) they can begin to control their movements and thoughts. 2. Do you feel your belly and hands rising and falling with each breath? 3. Can you try to make your belly rise up even more? 4. Can you try to make your belly rise up very slowly and rise down very slowly? 5. Imagine your belly like a balloon. Try to blow up your balloon very slowly and very big and then let all the air come out of your balloon. 6. As your belly rises and falls imagine many balloons floating around in the sky. Notice their colours. Notice if they are flying high or low. 7. Encourage your child to continue filling their belly slowly with the breath as you speak in a soothing and soft voice. You may find your child is more responsive to this technique at first if you introduce it during the day and/or you participate with them. May your breath be calm and slow and may many zzzzz’s come your way! 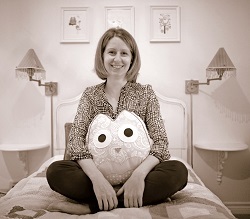 Amanda DeGrace, President & Founder of Little Lotus Yoga. When she is not sharing her love for yoga with others she is at home snuggled with her 2 year old boy and 11 month old baby girl. Follow her on twitter at @amandadegrace or on Facebook. Sleep hygiene refers to the routines or habits that encourage a more restful and restorative sleep. Simply by following good sleep hygiene, you can ensure a better sleep for your child. 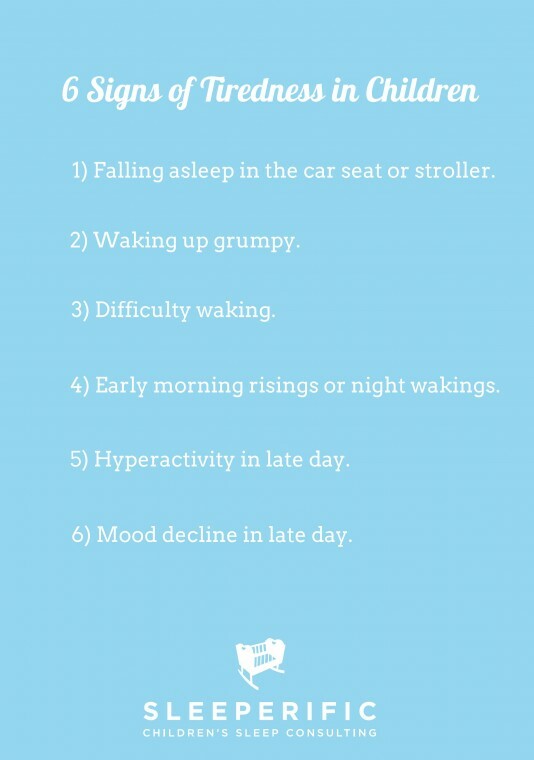 • Naptimes, bedtime and wake times should be at approximately the same time each day. Even weekends. • Avoid television, computers, iPads and other electronic devices at least an hour before bed. In addition to being engaging and stimulating, the light emitted from bright screens can have a sleep suppressing effect. • Have a light snack in the evening. An empty stomach can interfere with sleep as can a large meal. • Make room in the schedule for bath time before bedtime. A hot bath will raises body temperature, but it is the drop in temperature that may help them feel sleepy. • Ensure a dark bedroom. Any light can decrease the amount of melatonin your body naturally produces. Melatonin is a hormone which does many things including regulating your sleep-wake cycles. A low wattage nightlight is ok.
• Use sunlight to set your child’s biological clock. When it’s your child’s time to rise, draw back the blinds, let the sun in and have breakfast in a well lit area of your home. • Ensure active play, preferable outdoors, is a part of your child’s daily routine. This has less to do with physically wearing out your child, but more to do with having a clear distinction between wakeful times and sleep times. These suggestions are relevant for older babies through to adulthood. Healthy sleep is often about starting out on the right foot. Parents and caregivers can help create a situation for children to be successful in transitioning from busy, wakeful times, to calm, peaceful sleep. Dr. Jennifer Castle is a Naturopathic Doctor with a passion for helping people reach their optimal health level. She firmly believes that naturopathic medicine is about becoming an active participant in one’s own health as well as becoming aware of how the body is affected by our thoughts, emotions, physical stressors, food and environment. 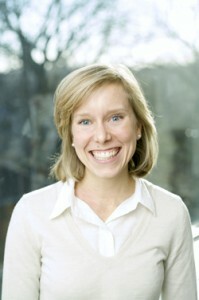 Jen takes an individualized approach with each of her patients. Jen enjoys running, weight training, yoga, and commuting on her bike. She has completed several 5k’s, 10k’s, and half marathons and is still trying to improve her fitness level. Jen loves being a wife and mom and currently her favourite pastime is singing Wheels on the Bus to her daughter. When my eldest daughter was born, one of my greatest pleasures was singing to her. At the time, I didn’t have a very big repertoire, but I sang what came to mind. 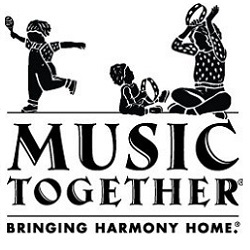 (In the beginning it was a lot of Christmas carols, but a few semesters of Music Together® classes took care of that!) Sometimes I sang to distract her, many times to soothe her, and often just to keep myself sane as I went about the daily routine of caring for this new being in my life. While music often carried us throughout our harried days, it was ultimately lullaby time (before naps and in the evening) which put us both into the peaceful state needed for relaxation and sleep. What makes a lullaby so magical? It seems to be a universal impulse for adults to sing to their babies; every culture has its own lullaby tradition. Unconsciously, mothers everywhere rock their babies and coo to them, when calm is needed. This rhythmic movement, in combination with a caregiver’s voice, is a soothing balm to a crying babe. Despite many parents’ inhibitions around singing, you can be assured that your child loves your voice more than anyone else; they are the kindest of critics! One study by Nakata and Trehub (2003) compared babies’ responsiveness to their mothers’ singing and mothers’ speech. Babies six months old preferred when their mothers sang to them than when they spoke to them. Researchers have shown that parents—whether they realize it or not—even have a special “lullaby voice,” a way of adjusting the pitch and tempo that’s similar to the adjustments of tone (so-called “motherese”) that adults use when speaking to an infant. Infants have a high preference for this “infant-directed singing.” Sandra Trehub of the University of Toronto has shown that infants can even distinguish between audiotapes of their parent directing their singing to them versus singing to an empty room. Trehub suggests that the infant is sensitive to the emotion present in infant-directed singing, and that the lullaby is a kind of “synchronization device,” which coordinates emotion between parent and child. It lulls them both; producing a release of hormones that promote relaxation and bonding. Playing a CD of lullaby music simply does not have the same effect as singing directly to your baby. Over time, the closeness that a lullaby creates, ultimately helps children to feel secure and loved. For our family, lullaby time became over the years, the time of day for true confessions, the spilling of childhood worries, and deep questions. It was a peaceful, satisfying end to our days. If there is just one piece of advice I could share around lullabies, it would be to simply sing to your child. The content or quality bears little weight. A few strains of your favourite song might be all that’s needed, as simplicity and repetitiveness is what gives a lullaby it’s soothing quality. Songs have a tremendous impact on children – they can brighten their mood, relax them, comfort them and help them to sleep. In turn, parents can feel competent in their nurturing skills. If you should find that there is only one song sung each day, I hope you will make it a lullaby. Nakata, T., & Trehub, S. E. (2003.) Infants’ responsiveness to maternal speech and singing. Infant Behavior and Development, 27, 455-464. Jodie Fera, BMus (ed), B. 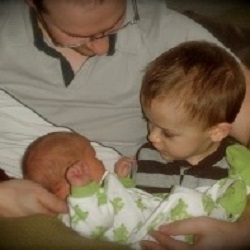 Ed., is the mom of two great kids who, while in their double digits now, still occasionally request a lullaby after a particularly stressful day. 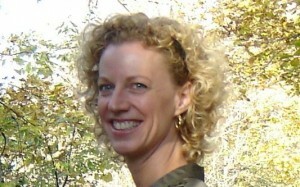 She is also the director of and certified teacher at Music Together of Kitchener-Waterloo. Spring is almost here. After the winter that just won’t stop, it’s a welcome change. The days are getting longer, brighter and (hopefully) warmer. Then you realize it’s Daylight Savings Time and you’re going to lose an hour of a parent’s precious commodity: sleep. If it’s any consolation, this time change tends to be the easier one from a parenting perspective. Kids bridge this gap a bit better than Fall Back. If you have an early riser – Don’t do anything differently. This is the moment you’ve been waiting for! The child who is up like a firecracker at 6AM wake up will now be getting up at 7AM. Somehow, these parents will wind up gaining an hour after all this is said and done. Give a big thank you to the universe for this one. For the ‘easy going’ child – A child with generally has good sleep habits and an ability to go with the flow, doesn’t require any preparation. You may not have to do anything ahead of the time change. Give them a few days to adapt to the new schedule. For the ‘less flexible’ child – Start adjusting a few days before the shift. For children heading to school, shift their waking, breakfast, dinner and bedtimes to be 15 minutes earlier. For children who are younger than school age, consider shifting their entire schedule [including wake times, eat times, nap(s) and bedtimes] 15 minutes earlier. Repeat this incremental shift for the next 3 days. By the time Sunday rolls around, their bodies are fully prepared for the adjustment. 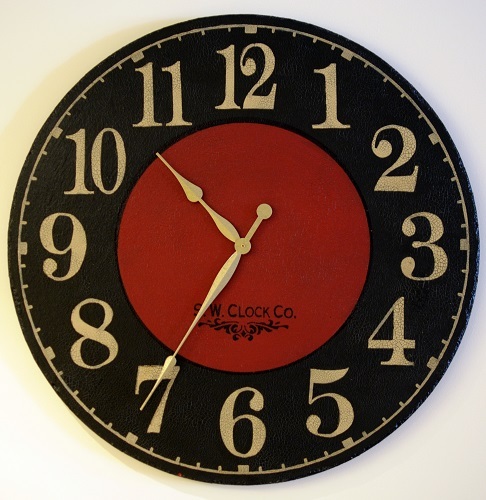 Stay on Schedule – Every aspect of the day gives our children an opportunity to know what time it is. Mealtimes, play times, along with wake and bedtimes all offer cues to help our children be prepared and receptive for what’s coming next. Be mindful and deliberate with the time adjustment as it affects ALL of your daily activities, not just sleep. Diligently follow your usual routines on the adjusted schedule. Sleep Environment – Longer days and springing ahead means that sunlight is creeping into child’s bedrooms. Initially, the time change means more light at the end of the day. Light at bedtime can delay the onset of sleep. Ensure the use dark shades or window coverings to keep your child’s room dark. This will help prevent early morning risings as days lengthen and it becomes brighter in the early morning as well. A low wattage nightlight is fine. However you decide to make the change, be patient. Your child will take a few days to adapt, just like you. Be consistent, stay the course and good luck families!